With the onset of winter, the possibility of contact with viruses and bacteria, and suffering colds and flu, increases considerably. With adequate food, specific exercises and the absence of stress, the onset of winter would pose no problem for our immune system, which would help us enormously to avoid any unwanted colds and flu. Although epidemiological data documenting that this idyllic state of immunity foolproof is the exception and not the rule. In the center of the chest, the sternum, where we note when we say “I”, pyramid-shaped, There is a small gland called TIMO. His name in Greek, “thýmos”, means vital energy. Is much more developed at birth, in adulthood and grows normally until puberty, which begins in a slow involution. The Thymus Gland is one of the pillars of the Immune System, identified in 1974, and is directly connected to the senses, awareness and language. It's like a telephone exchange, where they spend all calls and make connections both inside and out, generating vital energy for our body. Talk to microbes or toxins, defense cells producing, is responsive to the images, colors, lights, odors and flavors, gestures, sounds, words and thoughts. Love and Hate will profoundly affect, and negative thoughts, have much more power than viruses and bacteria. Positive thoughts activate all the powers of the Thymus Gland, producing relaxation, welfare and vital energy. 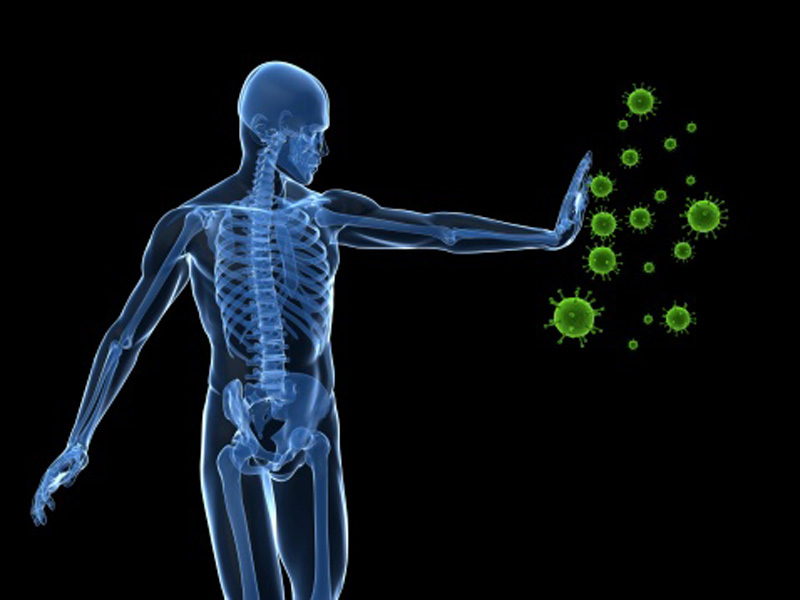 To activate the Thymus Gland and enhance the functioning of the Immune System, There is a very simple exercise Qigong. This exercise can be performed either sitting in a chair or standing. Whether we realize it sitting on a chair, try to have your back straight but not without tension and repose in the backrest. The soles of both feet must be in contact with the ground, apart at shoulder width. If you choose to do it standing, also put our feet to the width of the shoulders and back straight. The exercise involves lightly beat, well with fingertips or knuckles of the hand, in the area immediately above the sternum Thymus Gland. It is not swatting, but simply to generate a sound that resonates in the chest. The basic sequence consisting of 3 tapping made in the following sequence: pounding (something stronger), break, soft and smooth patter patter. This sequence it should be made at least twice daily: around the first and second getting up before bed, each lasting 3 the 5 minutes. Likewise can be done at any time of the day.